I had no idea there would be so much happening and so many people watching us. Comparison of Output with Hours of Sleep, ca. 1930 George Pennock welcomed Mayo’s arrival at the Hawthorne Works in 1928. “We have become…skeptical of being able to prove anything in connection with the behavior of human beings under various conditions,” he wrote.4 Other Hawthorne experiments taking place at the time included the effect of wage incentives in the mica splitting department. In the study of fourteen men in the bank wiring test room, where conditions were unaltered, no change in productivity occurred—attributed in part to an implicit understanding among the workers not to exceed what they considered a fair quota. 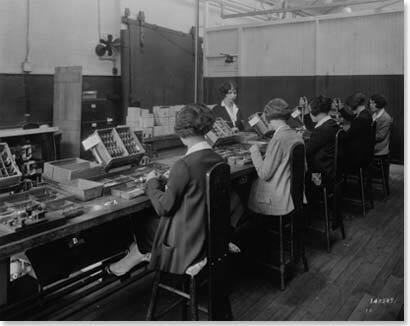 Daily History Record, October 16 and 17, 1929 The studies monitoring the output of relay assembly workers, which began in 1927, continued until 1932, becoming the longest running Hawthorne experiments. 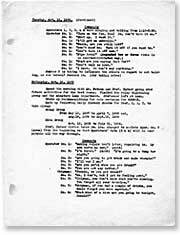 Homer Hibarger and later Donald Chipman, Western Electric supervisors, reviewed production performance tapes and the results of routine physical exams and maintained a log sheet of work, daily events, and supervisor’s observations. 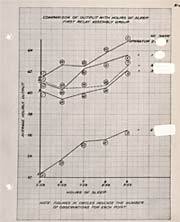 The six operators studied in a separate test room were single women in their teens and early twenties. They came from Polish, Norwegian, and Bohemian families, whom they helped support. The women noted that the intimate atmosphere of the test room gave them a sense of freedom not experienced on the factory floor. They felt more at ease to talk and over time developed strong friendships. “We’ve been the best friends since the day we were in the test room,” one of the operators remembered. “We were a congenial bunch.”5 Through the years, productivity in the relay assembly test room rose significantly. Mayo reasoned that “the six individuals became a team and the team gave itself wholeheartedly and spontaneously to co-operation in an experiment.”6 These views contributed to Mayo and Roethlisberger’s conclusion that mental attitudes, proper supervision, and informal social relationships experienced in a group were key to productivity and job satisfaction.